"Here Comes the Sun" depicts the perils a young, inexperienced student Naval Aviator can get into when stormy weather threatens. 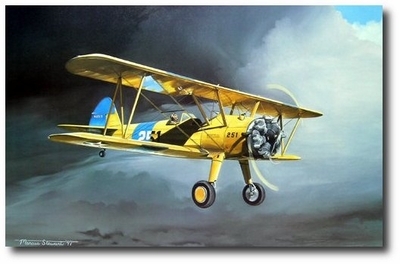 Flying an N2S-3 Stearman, he narrowly escapes nature's fury. 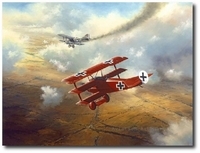 With a smile of relief, he flies his aircraft into the sun.